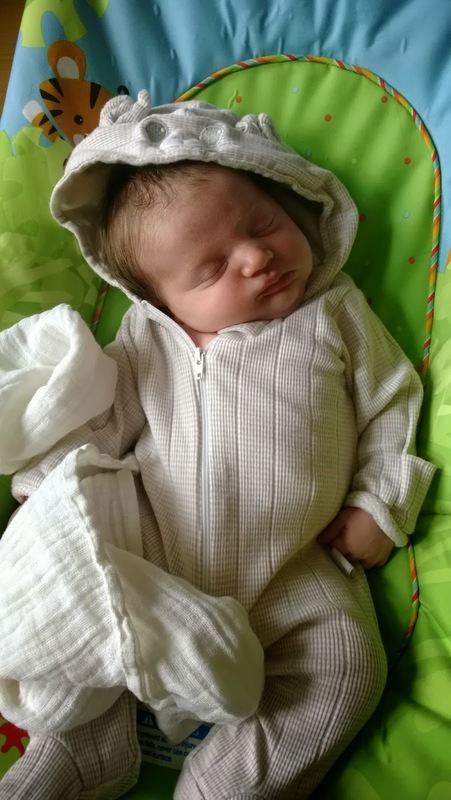 When Lily-Rose was born it was noted that even though she seemed to have a strong neck and was already trying to hold it up, she also had tilt and favoured one side. When she got tired or fell asleep her neck would drop and tilt towards the right neck, and with a twist. When she was awake she would often only look to left and was very hard to get her to look to the right, even when you tried to turn it for her. Prematurity - The syndrome is widely seen among new-born babies as they are often unable to turn their head in one direction due to neck pain. This causes the baby to prefer to be positioned on the same side of the skull. Constant pressure causes a flattening of the soft tissues in one spot compared the rest of the babies skull. Congenital Muscular Torticollis (Wryneck) - one or more of the neck muscles develops a tightness, causing the head to tilt and/or turn. This can result in plagiocephaly as the tightness causes the head to be held in a single position. In turn this had caused her head to develop Plagiocephaly, widely known as Flat Head Syndrom ( FHS ). Plagiocephaly is the term that is used to describe a diagonal asymmetry across the head shape (see pic 1). This term particularly describes a flattening to one side at the back of the head; this often causes some facial asymmetry (see pic-2). 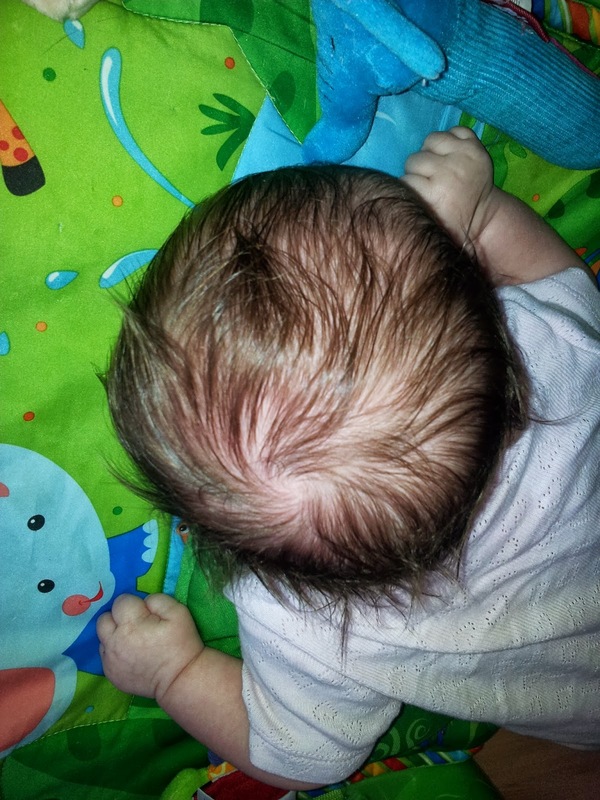 At around 8 weeks lily-rose developed a very noticeable flattening to her left side of the back of her head. I also noticed her face didn't look right, with her left side of her face looking much fuller than the right. The right side of her face also has a slant ( this isn't very noticeable until pointed out to someone and is much more noticeable when putting a mirror in front of her ). I made an appointment as soon as noticed the flat head, as the doctors already knew about her neck problems, however, I had to wait two weeks for the doctor to see her. With this I look into both conditions and a company called Mimos, who have designed a special engineered baby pillow for the prevention of flat head syndrome and help preserve your baby's head in a natural way. I contacted the company as told them about lily-rose and would they be happy to allow me to have a sample to review on my blog and also make awareness of this condition. I was really pleased when they said they would. You can see it here, although the angel i took the photo doesn't show it as bad as it was, as I took this looking down on the flat stop as to taking it like the photos below. Below is the comparisons from normal to different types of FHS. Now its okay for a health professional you see ( i.e midwife, health visitor, doctor ) to contantly tell you to put your baby on his/her tummy " tummy time ". But not all babies enjoy this, to which unlike her elder sister, lily-rose didn't like and this could also be linked to her digestive problem. Due to this, lily-rose spend a lot of time on her back playing ( which she also didn't really like ) or in her swing, or bouncer chair. 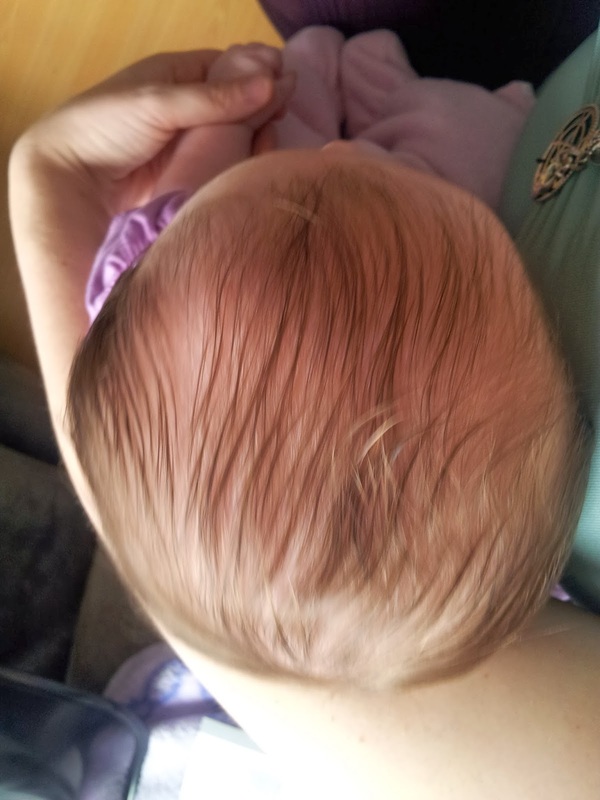 This in turn can cause a lot of pressure on the babies soft head, causing the head to flatten out. The Mimos pillow is designed to give 400% less pressure on the head when laying flat. It also allows 180° free rotation of the head and neck as Free rotation is extremely important in the prevention of asymmetry in neck muscle tightness and flat head syndrome (deformational Plagiocephaly). 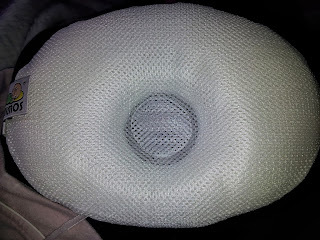 The "pillow" is Medical Class 1 Approved Baby Pillow. CE Certification Class 1 Medical Device – European Authority Approved. It is also TUV Safety Certified completely safe for babies of all ages, which means it is Anti-Suffocation, 100% breathable. 94% of the pillow volume is air. Mimos provides a restful good night's sleep without the worry of suffocation risk in baby's. We use the pillow almost anytime lily-rose is on her back, whether it is sleeping her moses basket/ cot or playing, and if possible in her pram too. Steps have been put in place too to help with her neck regards to physio and they are keeping an eye on her FH and face. We love the pillow and saw a difference within 2 weeks of using it, even the doctor was impressed and asked for information regards to Mimos ( to which I passed Mimos my doctors details on as they agreed to send her some samples to use at work ). Below are the before and a recent picture of lily-rose's head. I have tried to do it in a similar position to show its affects. Here are the pictures of her head from looking down - one 2 weeks of usage and a month after usage. Early prevention can help with techniques like " tummy time" if your baby likes it, how you carry your baby, minimising car seat/ bouncy chair time, and day to day positioning can preserve your baby's head shape, with the help of Mimos Pillow. I am glad and very grateful to have spotted this rather early and for mimos to have allowed us to sample their pillow. As you can see, from early diagnosis and using the pillow, the results have been fabulous quick. You can purchase a Mimos Baby Pillow direct from them via their website or phone. Two Kids and Three Angels by Rachel Thornton is licensed under a Creative Commons Attribution-NonCommercial-NoDerivs 3.0 Unported License. Based on a work at http://twokidsandthreeangels.blogspot.com. Pampers New Baby Sensitive Challenge! Tangle Teezer - A no more tears comb!